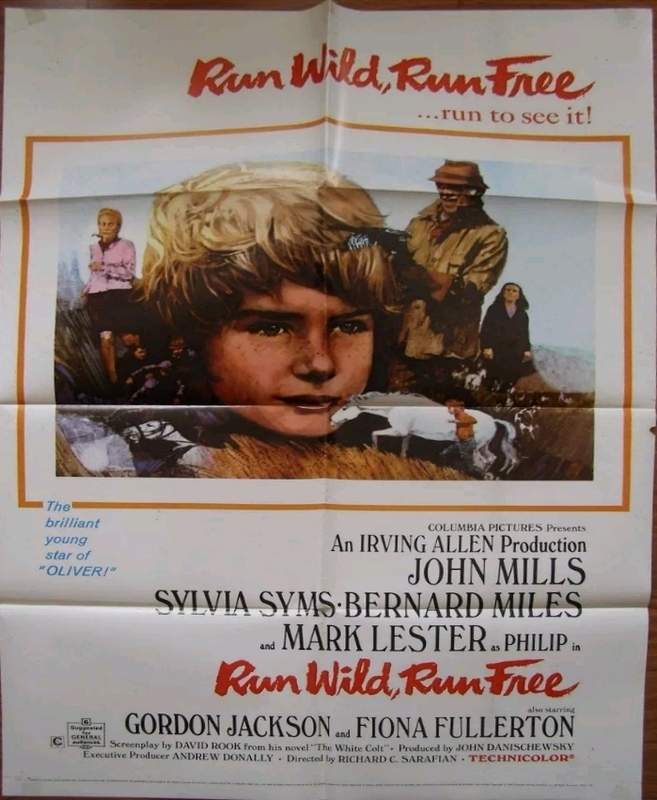 Run Wild, Run Free, was a film starring Mark Lester as Philip Ransome, a troubled 10 year old boy, who has been mute since the age of three, Philip lives on Dartmoor, Devon, and spends his days roaming the moors, Philip's parents (who despair of a cure), were played by Gordon Jackson and Sylvia Syms. Philip encounters a retired Colonel (John Mills), while roaming the moors, one day, and the Colonel, opens up Philip's world, Philip also makes the acquaintance of a white colt, who further opens up Philip's world. Also appearing in Run Wild, Run Free, were Fiona Fullerton (Diana), who (like the Colonel) also befriends Philip, and Bernard Miles (Reg). Run Wild, Run Free, was written by David Rook, and was based on his Book, The White Colt (1967). 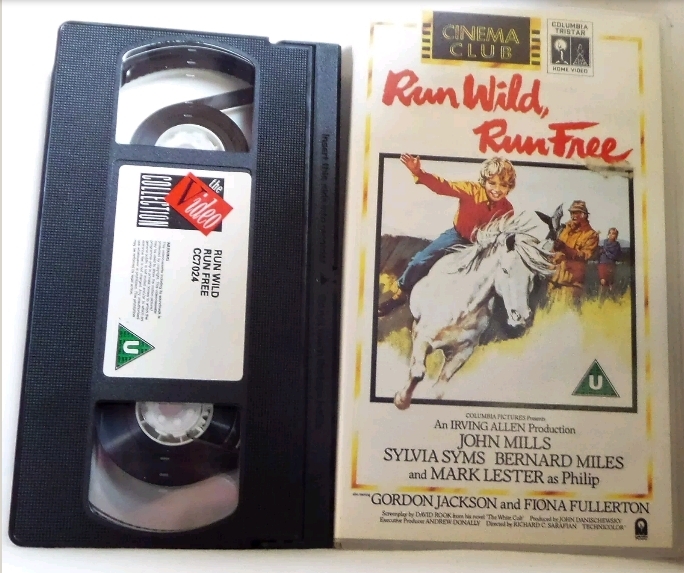 Run Wild, Run Free, is a very moving film, which I have enjoyed watching on DVD. Run Wild, Run Free, was filmed on location, in Dartmoor, Devon. Below, you can hear some music from Run Wild, Run Free. Nice post billy. I have not seen this, but the superb music and genre looks a similar west-country style to 'The Belstone Fox', particularly around the same period, which is always a nice watch. With Gordon Jackson and John Mills in it, it is undoubtedly worth a try. 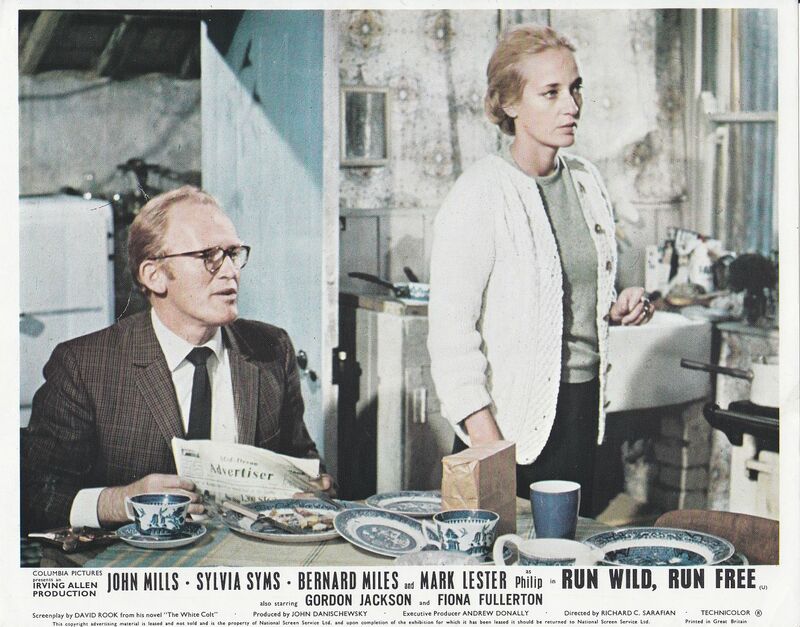 Below is an Original Lobby Card (which I obtained on eBay), featuring Gordon Jackson (Mr. Ransome) and Sylvia Syms (Mrs. Ransome), in a scene from Run Wild, Run Free (1969). The above DVD, is the one, which I have enjoyed watching, I would thoroughly recommend watching, Run Wild, Run Free, Mark Lester, is excellent, in the role of the troubled Philip Ransome, and the supporting cast are all very good, I really liked the locations, which featured in the film. 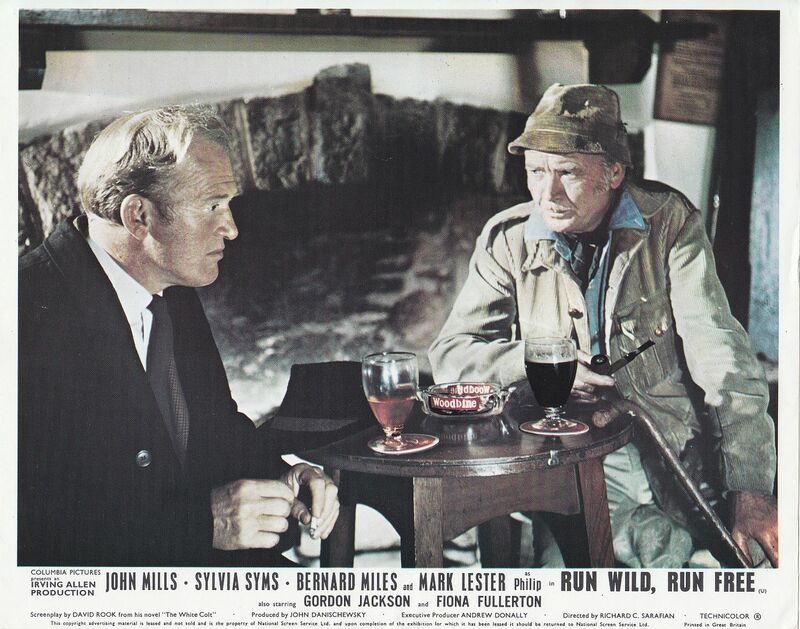 Below is an Original Lobby Card (which I obtained on eBay), featuring Gordon Jackson (Mr. Ransome) and John Mills (the Colonel), in a scene from Run Wild, Run Free (1969). Reading through those Pixley Professionals notes, not once it is it mentioned that Gordon turned up late on set unlike you know who and whatshisname. and it's UK VHS forever!